THE ULTIMATE SIDE-BY-SIDE FOR YOUNG RIDERS. As the industry's only youth side-by-side, the RZR 10 EFI is designed to give kids 10 years and older the joy of driving while providing safety features parents will love. POWER: The 169 cc EFI engine provides a fun ride, consistent starting, improved idle quality, and a crisp linear throttle response. 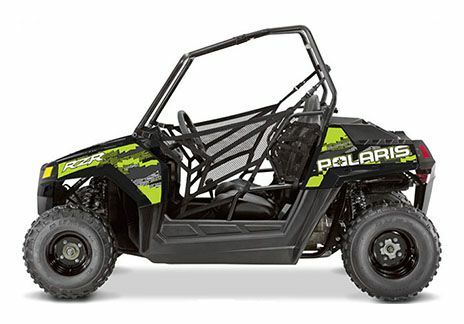 The RZR 170 comes standard with electric start and automotive style controls, making it easy for young drivers to hit the trail. SUSPENSION: Bumps in the yard and on the trail are soaked up by 5 in. of suspension travel up front and 5 in. of travel in the back. Plus a full 6 in. 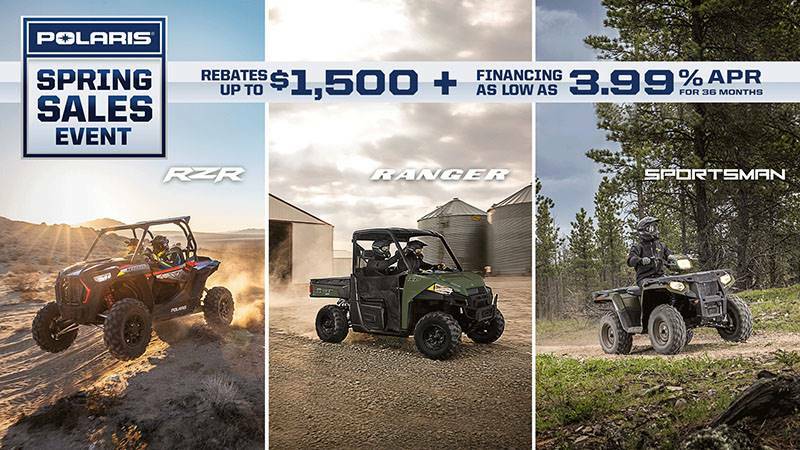 of ground clearance gives the RZR 170 EFI, and your young driver, the ability to navigate off-road obstacles. ADJUSTABILITY: The RZR 170 EFI provides tilt steering, a comfortable bucket seat for off-road ergonomics, and 5.7” of seat slider adjustability for growing kids. In addition, parents can control vehicle speed and adjust with the skill level of young drivers using the easy to adjust speed limiting. SAFETY FEATURES: Safety is the number one priority when it comes to kids enjoying off-road adventures. 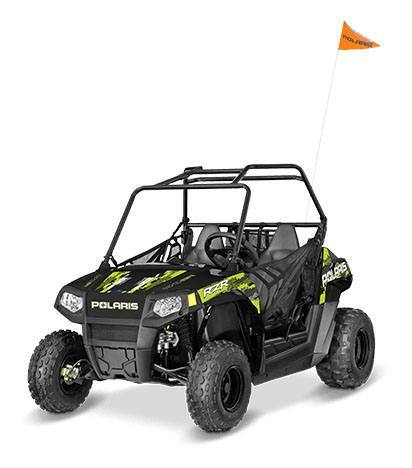 The RZR 170 EFI comes standard with two youth helmets, LED daytime running lights, seat belt, safety nets, safety whip flag, speed limiting adjuster, and a training DVD.